Last time we were in the Everglades we drove in on Alligator Alley. This time we chose the smaller Tamiami Trail. I mistakenly told Ben it was called Tamiami because it was the road “ta Miami”. Actually it is named because it connects Tampa to Miami. I dressed Violet in her Seminole skirt and Archer in an FSU shirt for the big day. 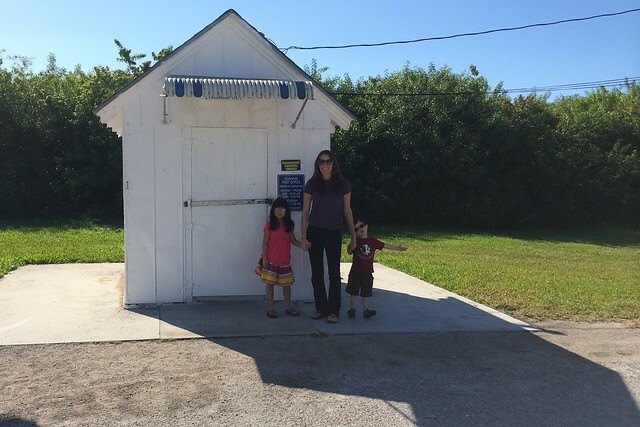 In Ochopee, we had our picture taken at the smallest post office (7X8-ft) in the country. The post office was temporarily closed as the post master had to leave the premises for a bathroom break. Our favorite part of the day was visiting the Big Cypress National Preserve. There were at least 20 alligators hanging out in the canal in front of the visitor’s center. 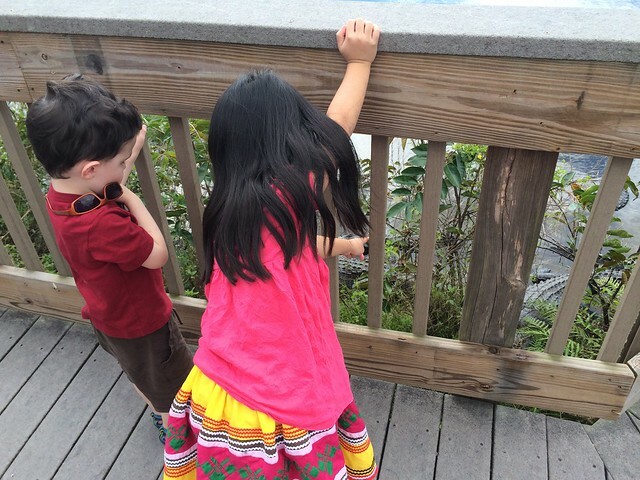 The alligators, which pretty much just lazed around, held our attention for all of two minutes. We were all captivated watching the anhingas trying to catch fish, balancing fish in their beaks, then playing keep away from all the other birds in the vicinity. 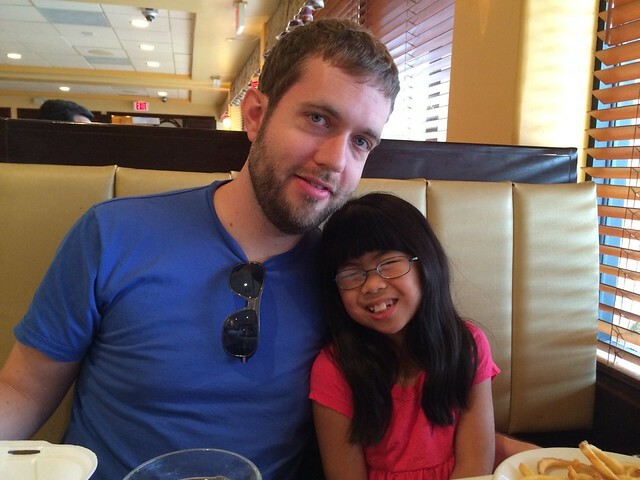 We celebrated the return to civilization by eating at a Cuban restaurant in Miami. Heaven!